Our range of products include roller idler welding machine, 3-station 25t quench press and 40t 3 -ram hydraulic quench press. 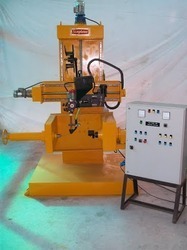 Simpletech Roller & idler rebuilding machine WS-900 is an extra wide machine , which cab accomodate idlers up to 1200 mm diameter.The idler/roller can be titled by 45" clockwise and counter clock wise.As the opening is quite wide, even two parts can be welded at a time.The Machine is provided with a heavy duty welding head,powered by a 1200 Amps, heavy duty output power source. The welding head has a hopper to supply the flux and wire feeder unit which can feed 2.4 mm to 5 mm diameter wires. 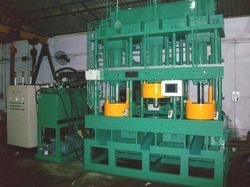 Machine is supplied with Powr source , Wire Feeder and Flux Recovery Unit. 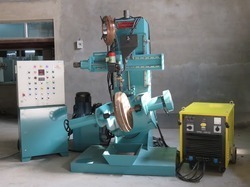 Machine can be supplied with two welding heads and two power sources.